VALLARDI GALLERIA D'ARTE HA CESSATO L'ATTIVITA' DI VENDITA A DICEMBRE 2017. RICORDARE GLI EVENTI DELLA VALLARDI GALLERIA D'ARTE DAGLI ANNI '70 AL 2017. 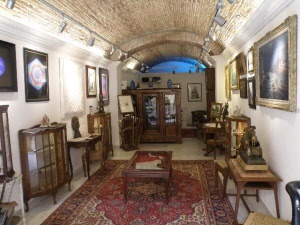 ESSERE UNA MOSTRA PERMANENTE E VIRTUALE DELLE COLLEZIONI PRIVATE (DIPINTI E OGGETTI D'ANTIQUARIATO) DI EURO CAPELLINI E VITTORIO GASPARINI, TITOLARI DELLA GALLERIA DURANTE I 40 ANNI DI ATTIVITA'. RICORDARE L'ATTIVITA' DEL PITTORE DELLE TRASPARENZE MARINE GIUSEPPE ARIGLIANO. FORNIRE SU RICHIESTA VALUTAZIONI DEL TUTTO GRATUITE DI OPERE DI ARTISTI CONOSCIUTI A LIVELLO NAZIONALE E INTERNAZIONALE. ShopFactory shopping cart software powers VALLARDI GALLERIA D'ARTE. All-in one eCommerce software and shopping cart.